This past weekend marked the yearly tea party my running buddy and I throw. This year out friends little ones are a bit older so it was much more exciting to cater to the miniatures. We picked a princess theme and got prepared to stuff people’s bellies have some tea and spend some time catching up. 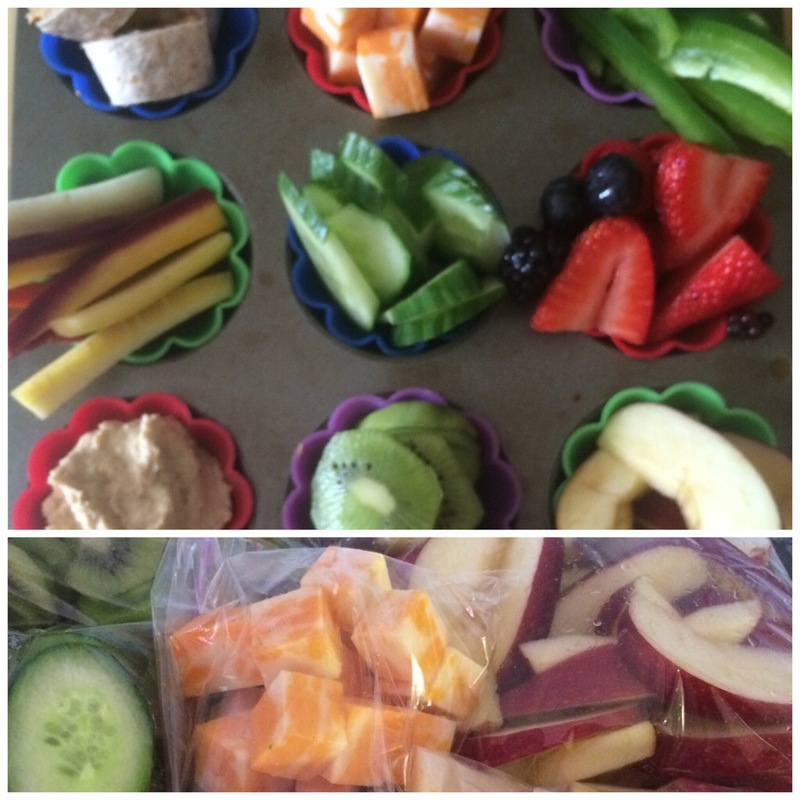 Seeing how I am still doing my 100 days of digestive clean up the food theme was fresh and detoxifying. 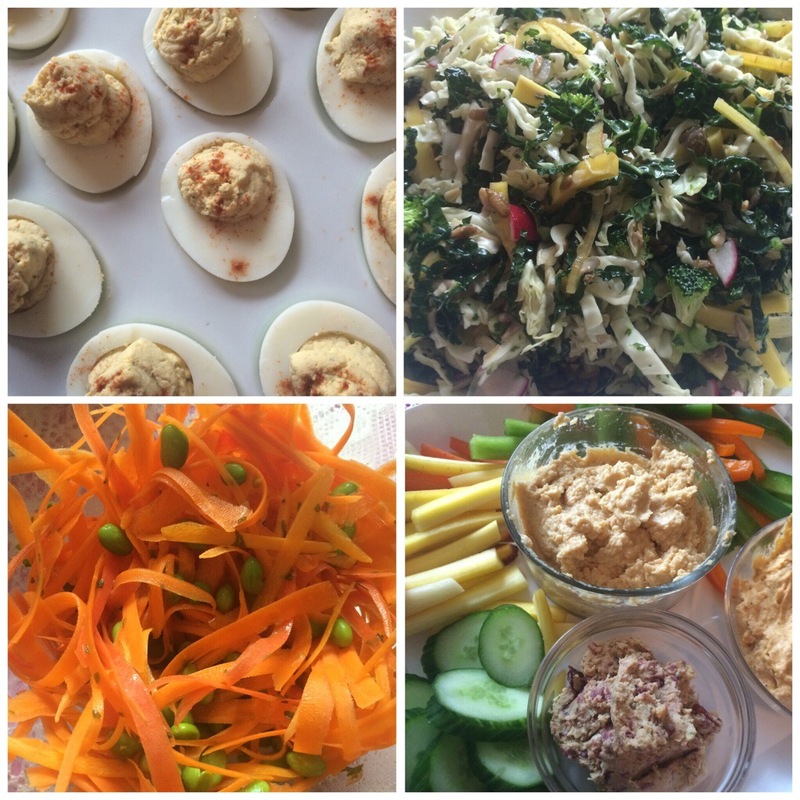 The salads and chicken skewers were a hit and as always the mayo free deviled eggs and hummus were a crowd favorite. The adults had lots or fun food so I figured it was only fair to make sure the miniatures also had a healthy, organic variety of foods for them to choose from. We put it in a muffin tin so it was little a small buffet for them. 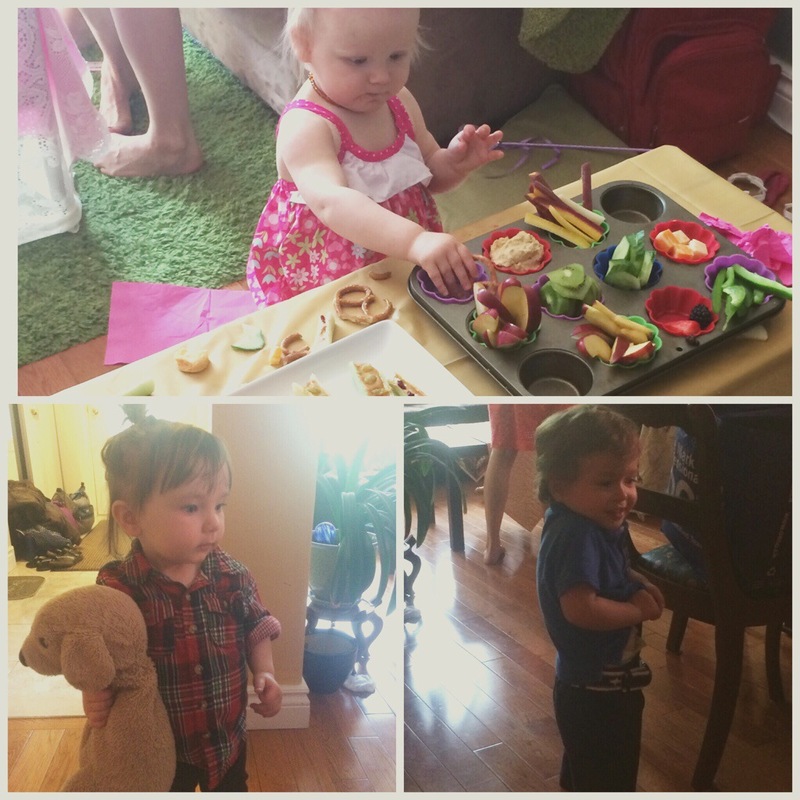 Lots of chatting, eating and running after little ones made for a busy and fun afternoon. Once the party was over my co-party thrower and I were ready to put our feet up. It was a great afternoon and we were lucky enough to be left with lots of left overs so good prep this week was made super simple, besides having to take care of the protein portion of my meals for the week my veggies are completely taken care of which is a nice change of pace. I hope you all had a great weekend and I hope you had as much luck with food prep as I did this weekend. This entry was posted in Health and Fitness and tagged clean eating, health, healthy life, healthy-living, meal prep, organic, tea party, weekend by healingginger. Bookmark the permalink.